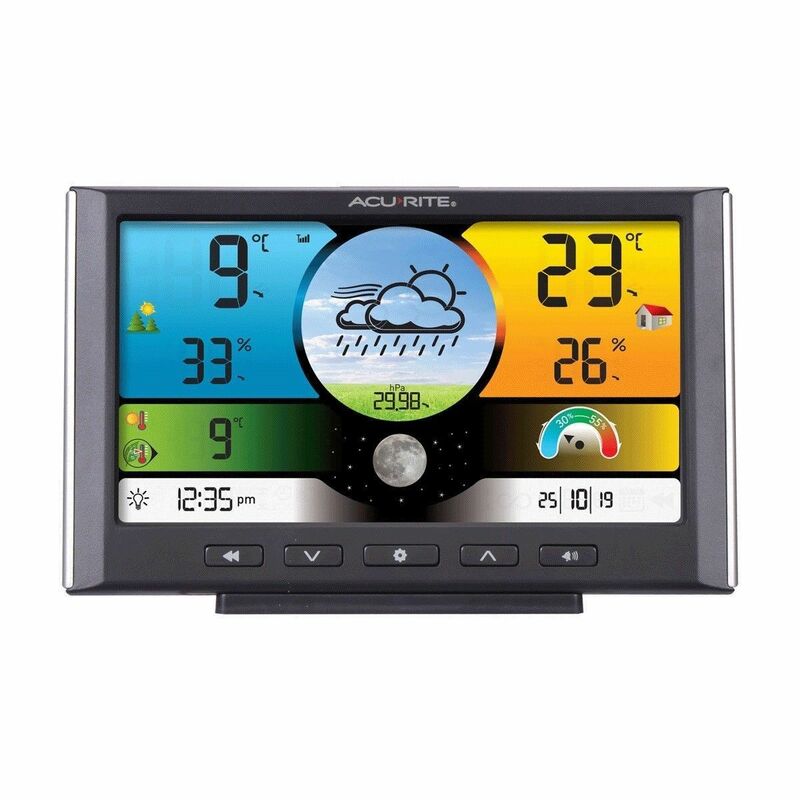 The AcuRite Digital Weather Station / Weather Clock with Colour Display provides all the useful weather data you need, at a glance. It also uses patented Self-Calibrating Technology to provide your personal forecast of 12 to 24-hour weather conditions. Self-Calibrating forecasting is generated from weather data measured by a sensor in your garden - giving you the most accurate forecast available for your exact location. 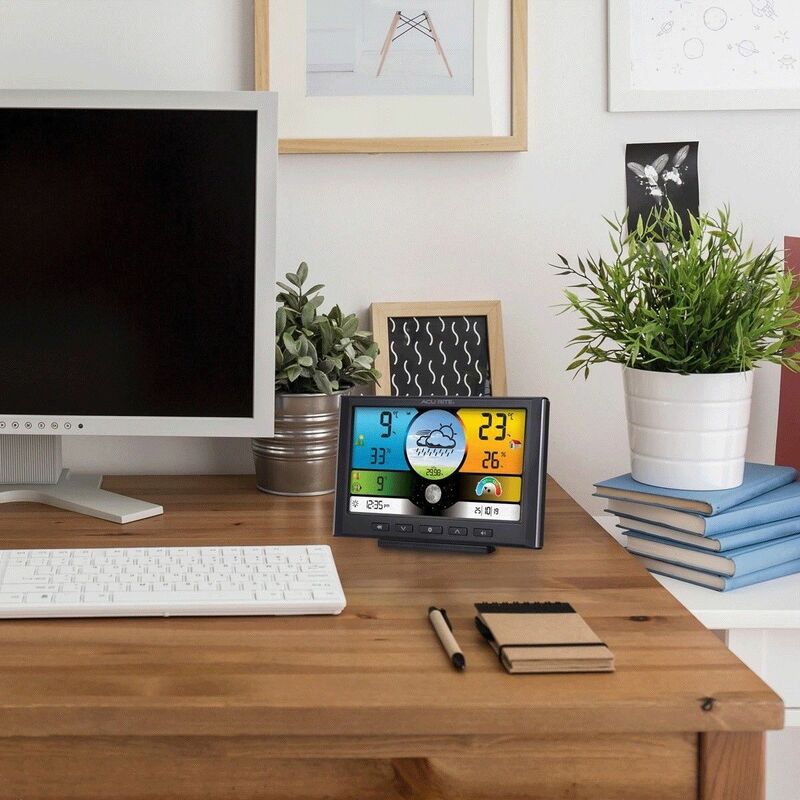 The bold, easy-to-read LCD screen includes indoor / outdoor temperature and humidity with trend arrows, daily high / low readings, an intuitive forecast icon, barometric pressure, moon phase, plus time and date. 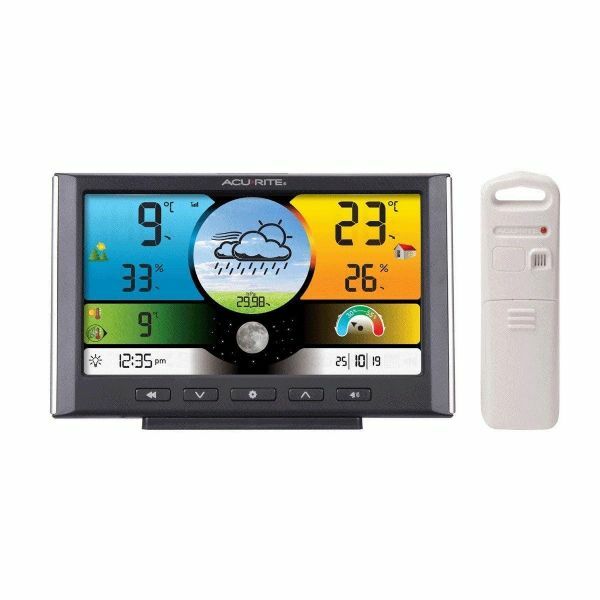 The weather station's illuminated colour display also offers programmable weather alarms, and auto-dimming brightness for night time use. It also stands upright for tabletop use, or is wall-mountable. The outdoor temperature and humidity sensor features powerful wireless technology, a weather-resistant design, and an integrated hanger for easy mounting.